Fifteen-year-old Roberta Ritter has been waiting for a knight in shining armor for most of her humdrum life. She’s a doormat, a bland nobody whose mother died a few years back, a smart girl who wastes her afternoons working in a failing arcade in a failing shopping mall. And then a Crusader arrives. Only this Crusader is a virtual reality war game, one in which players slash their way through “Infidels” on a mission to sack Jerusalem. The game does booming business at the arcade, despite–or perhaps because of–its racism and violence. Suddenly Roberta’s quiet life explodes. Onetime friends become bitter enemies, strangers reveal themselves as allies, and Roberta discovers that there is far more to her mother’s death than anyone knew. In uncovering what’s real and not just virtually real, Roberta learns to stand up for herself and the truth–and, just maybe, to become her own crusader. 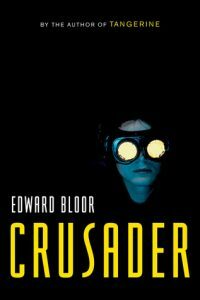 Order Crusader by clicking here!